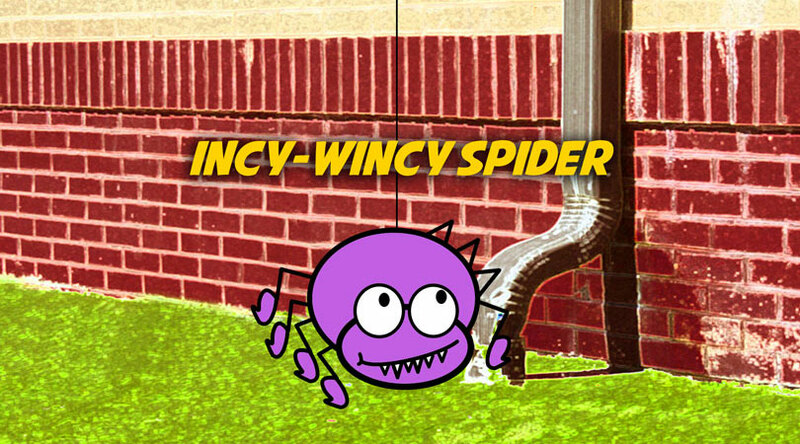 “Incy-Wincy Spider” (also known as “Eency-Weency Spider” or “Itsy-Bitsy Spider”) is a traditional song about a spider that tries to climb up the waterspout and the troubles that occur on her way. It is usually accompanied by a sequence of gestures that mimic the words of the song. The song is sung by and for children in countless languages and cultures. In Germany the melody is used for the song “Spannenlanger Hansel”. 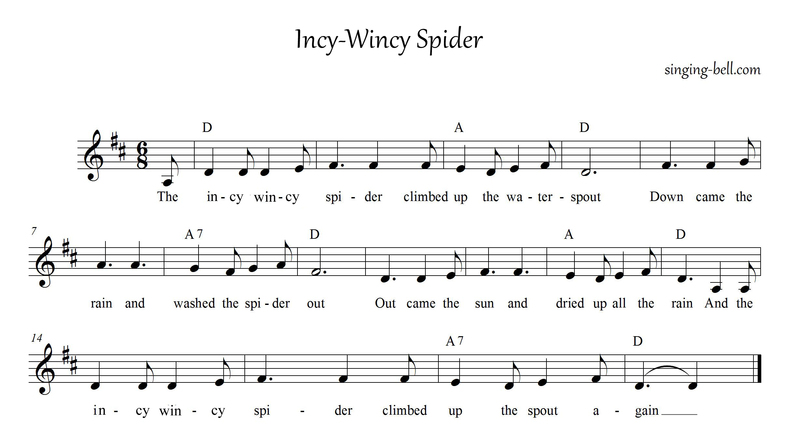 To save this free music sheet of “Incy-Wincy Spider” to your computer, right click and choose “Save Image As…”. 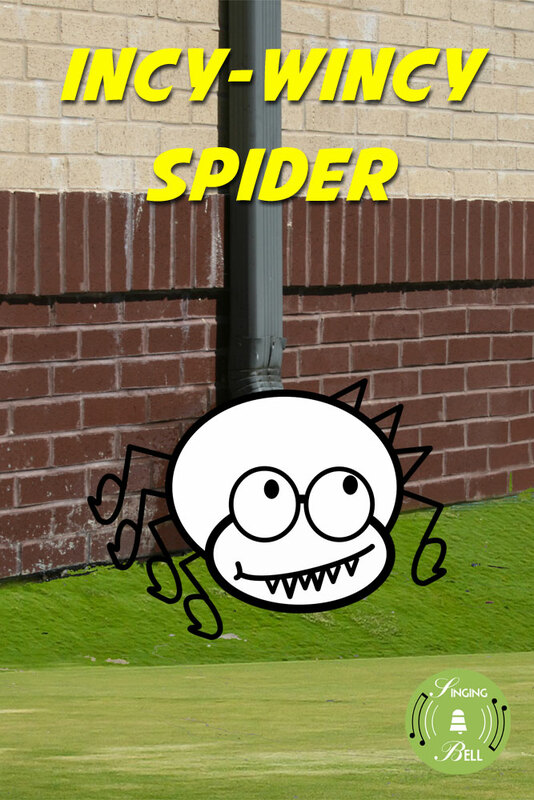 To download a ready-to-print PDF of “Incy-Wincy Spider” for music activities with a music sheet, lyrics and a drawing for kids to paint, right click on the following link, then choose “Save link as…”. “Incy-Wincy Spider” is a finger-play where the hands accompany through a sequence of gestures that mimic the words of the song. Tags: 6/8 meter, Baby Songs, Chords: 2 chords, England, Europe, Fingerplays, Karaoke, Kindergarten, Major, Nursery Rhymes, U.K.